The freak weather on the East Coast with power outages during extreme weather has shown us we need to be prepared. Where’s the flashlights? Batteries? Food and water for a week or longer? Cash on hand? Medication? Full tank of gas? Generator? Solar pack to power the computer and cell phones? Matches? Coffee!!! Not having phone or computer service alone will freak you out. Know that fire, police, emergency services may not be available for weeks or months at a time. If roads are impassable, food and supplies may not come through. With electricity down, only cash will be accepted at stores. Know that there will be a run on the most critical food and supplies needed. By the time you gather your thoughts, the stores will have been raided of everything. Think worst case scenario. I have emergency kits in both vehicles, emergency kits by the beds, bug out bags for long term emergencies, water and food to supply us for a year, a heavy duty generator and solar backup to power computers and cell phones. While this may seem like overkill, we feel ready for most disasters. Expensive? It took us 10 years to buy everything we needed. Red Cross, state and local officials have advice on this. Many supplies you have on hand. I buy from Costco.com for better buys. Consider where you live and the kind of disaster you might have and prepare for them. When you prepare, you will have peace of mind when a disaster hits. You will be able to stay calm and ride out the emergency. At one point here in the desert of CA, we had a power outage that lasted a week. My husband and I used what was in the refrigerator first, the freezer next. Fortunately we didn’t have to get into our emergency dried foods. We cooked using the pit in the backyard and drank wine and played dominoes with the neighbors at night by candlelight and lantern. The portable radio updated us on what was going on and had nerve enough to provide music. How about that! Being ready, it was just like camping out. No stress. The key is to get started. 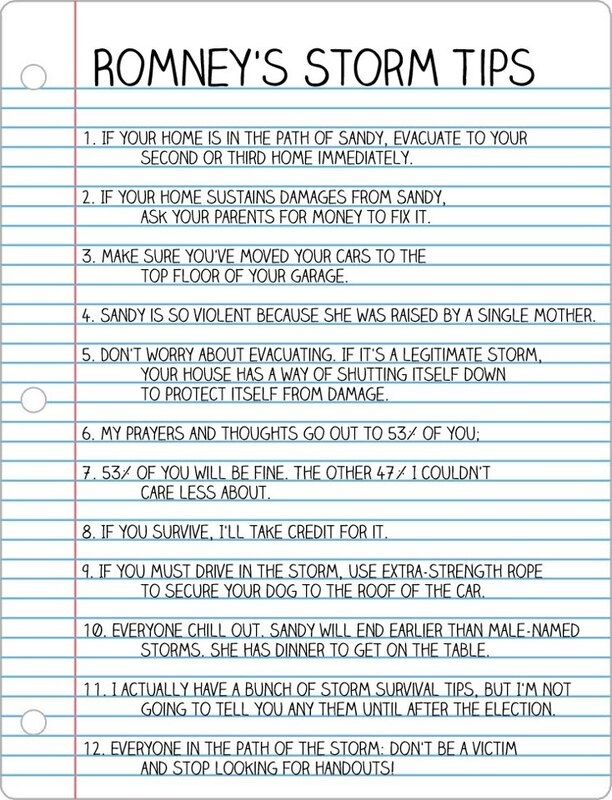 If you panicked with the recent power outages, you need to prepare. If you saw what happened during Katrina and wondered if you could have survived, you need to prepare. We are now dealing with global warming and freakish, extreme weather. Prepare. Plan out what you need, buy the most important items first with what you can afford and build from there. I seldom go to the movies these days. Hunger Games was so well reviewed I had to see it. I was not disappointed. I highly recommend this movie to everyone and be sure to take the kids. Hope, Love, Courage, Survivalism, Loyalty and Community are key themes. The Capitol of Panem, a superficial, fake society that exists at the expense and lives of the 99%...much like today's society. Reminds me of the malls and images plastered all over the nation today that screams BUY! DESIRE! WANT! GOTTA HAVE IT! SPEND! THIS WILL BRING YOU LOVE! THIS WILL MAKE YOU HAPPY! Jennifer Lawrence stars as 'Katniss Everdeen'. She represents courage, loyalty, wisdom, survivalism and most important...love. Josh Hutcherson as Peeta who learns that love conquers all. Donald Sutherland stars as 'President Snow' who represents evil, greed and corruption. Caesar Flickerman (Stanley Tucci) - represents the epitome of superficiality, greed, consumerism and all that is wrong with this society. A true sell out.